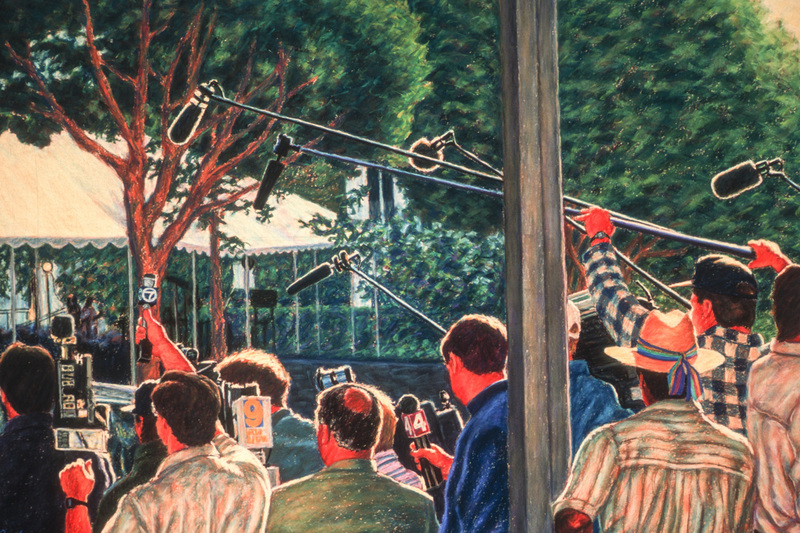 "Media in the Morning" is an original pastel on paper that was from my media series during the O.J Simpson murder trial in Los Angeles. The morning light is striking as it hits the figures in the painting. This scene took place right in front of the LA County Courthouse. The original painting is in a private collection, prints are available. 7" x 10.5"9" x 13.5"11" x 16.5"13" x 19.5"15" x 22.5"